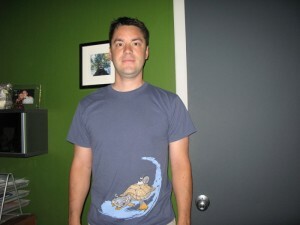 Day 4: of the great tshirt wear-off. Todays shirt: “Relative Speed” Blue, from Threadless! Yay blue threadless shirts.